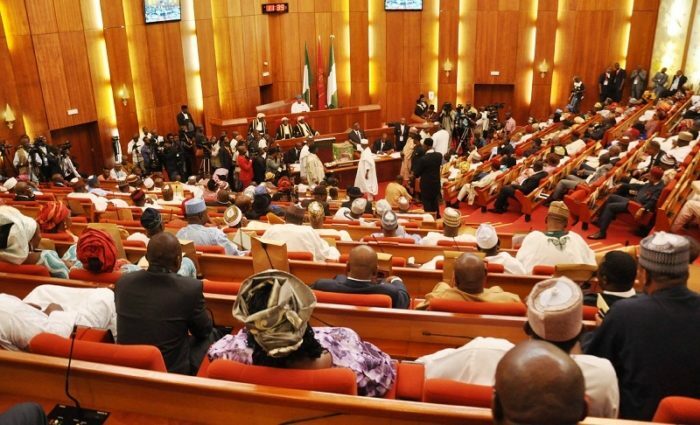 Just In: Polls reshuffle: Senate steps down ‎controversial bill – Royal Times of Nigeria. The Senate has stepped down the Electoral Act 2010 Amendment Bill which seeks to reshuffle the sequence of polls in a general election. The bill, which was considered for second reading, suffered an upset when several lawmakers across party lines who spoke during the debate raised various issues against the amendment. The lawmakers resolved that the bill be stepped down and referred to the Senate Committee on Independent National Electoral Commission, with a mandate to remove the clauses faulted by President Muhammadu Buhari, for which he withdrew his assent. The parts not faulted by the President would be sent back to him for assent.